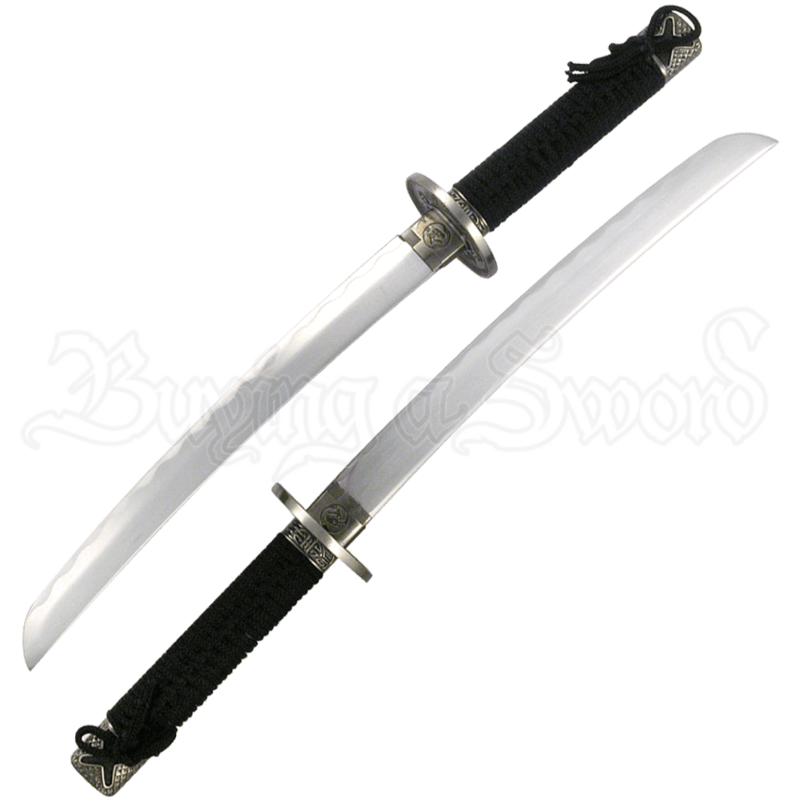 Unleash the dynamic energy of the twin dragons with the Dragon Brotherhood Sword Set. Unity reaps greater strength. Loyalty reaps power. Let the glint of these steel blades resurrect the honorable spirit of the samurai brotherhood. These stainless steel blades bring to mind oriental power and grace. The black cord wrapped handle with an elegant, ornate guard and pommel continues this theme. Twin fiery dragons enliven the black scabbard crafted to harness this honorable samurai sword set. The set includes a display stand that will allow you to add a touch of the orient and commemorate the samurai spirit.